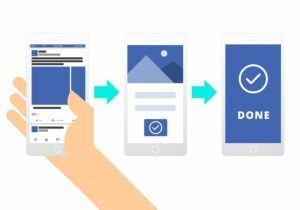 How to create effective Facebook lead generation advertisements? Every businessperson who is working with an audience it the social media tries to find the perfect way of attracting customers and potential followers to his/her page. Someone is writing long posts with difficult explanations, someone just gives a photo and a link to the website. However, these methods are not very effective, so we would like to introduce you probably the most effective way of promoting – lead generation advertisements. Lead generation is a marketing process where your task is to capture people`s interest to your services or products. It is a way to take your target audience form an introduction to what you are doing, and then guide them from your sales funnel. Every business need customers to get income and stay on the global market through other businesses. Customers is the resource you need the most and lead generation is probably the most effective way to attract them. A lead is someone who is already interested in your business, so these people are already warmed up for your advertisements. Everyone knows about promoting processes, so there are no rookies here. 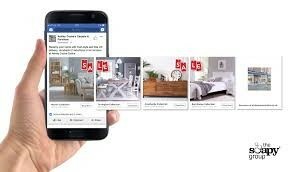 Why we should use Facebook advertising? It`s a smart question, because there are many other social media that could help you in promoting business. however, we will stop on Facebook. It is the most active social media – more than 1,7 million of active followers per month. It doesn`t matter in what sphere you are working, you will always find interested persons. Also, Facebook makes your lead generation advertisements easy to you and your customers. In this social media, you always have a dashboard with a plenty of resources, which can help you at any moment. Customers are able to take part in your offers without leaving the platform. To give you a better understanding of the situation, we will stop on some points. To begin creating your own Facebook lead generation ads, you will also need Facebook fan page. Keep in mind that it differs from your personal Facebook profile. To have a better understanding of what we are talking about, look on some examples of such lead generation advertisements. To begin this process, you should head over to Facebook ads manager. There you can choose your own marketing objectives and one of these objectives is lead generation. Enter the campaign name and continue the process. After you select all the points, you are able to see the number of potential reaches. Keep this point in mind while creating your Facebook lead generation advertisements because if you won`t understand how much you can spend your advertising could end very fast. it could be a single image or multiple images dedicated to one product. 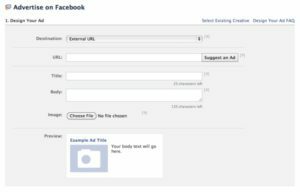 So, here you have a detailed instruction about creating your own Facebook lead generation advertisements. Hope you`ll understand how they work and will use them all the time.